So your blonde client wants to do something festive for the Fourth of July? Here’s an idea: Update her lightened locks to platinum, then send her out the door with a red headband or some blue embellishments! Here are nine of our best-performing platinum articles for inspiration. From a Level 2 to purely platinum, in one session and without damaging the hair? Yes, it's possible. See how it's done, and win the new BLONDME® line! Curious about platinum? We thought so. Lucky for us, @lo_wheelerdavis broke down what it takes to create a pure and perfect shade of platinum on her Instagram, and we're sharing all the details (get them here! 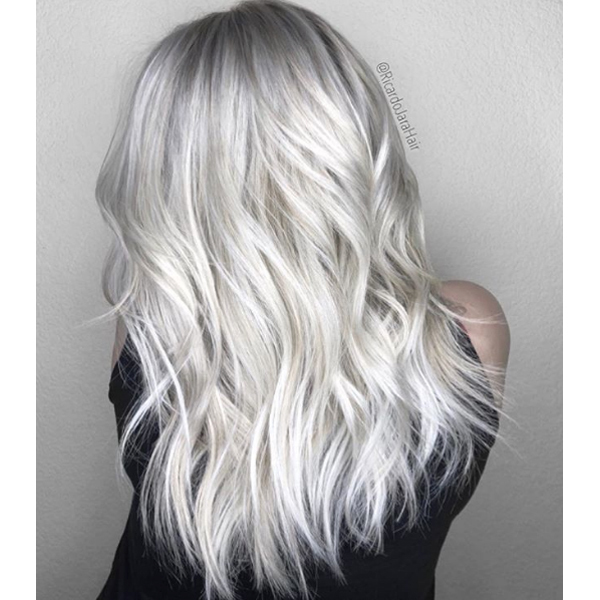 If you're loving all things platinum as much as we are, then you gotta check out this icy platinum how-to from Liz Haven O'Neill (@lizhaven), owner of Kaleido Hair Artistry in Houston. Zach Mesquit, aka @platinum_perfection, is a master at creating the clearest and iciest of platinum blondes. Dying to know how he does it? Keep scrolling to find out the color formulas that helped him achieve this silky silver-platinum tone.